One of the strong points of a 17mm focal length lens is its rectilinear lens design that produces straight lines as straight lines without distortion. It is a perfect choice for photographing in tight spaces with a restricted camera-to-subject distance. Photographing a building from a direct angle with the camera held level will result in a natural looking, undistorted image. 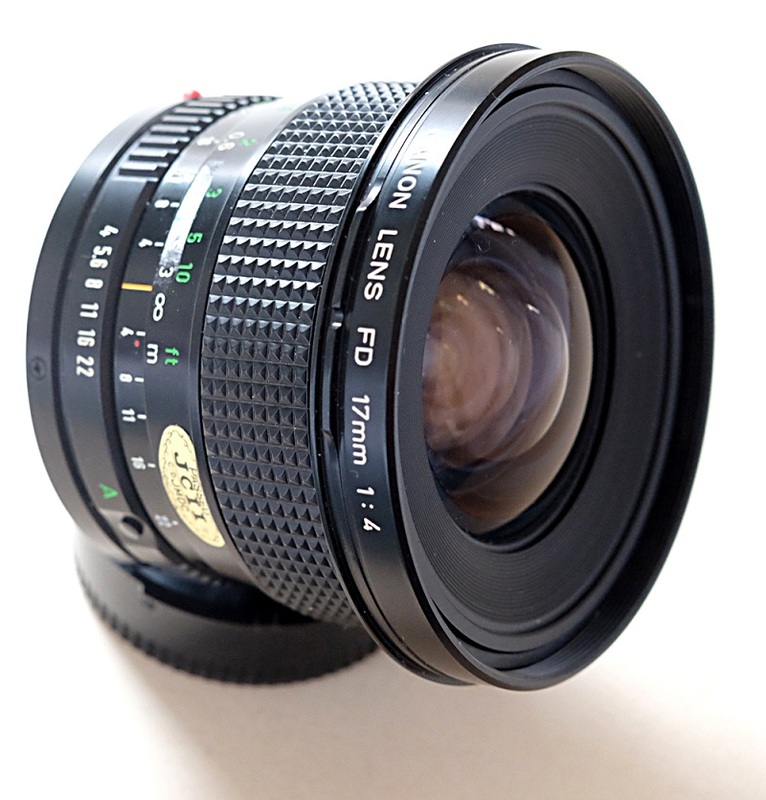 But the FD 17mm f/4 is not a lens intended just for outdoor photography. You may also find it indispensable for indoor photography, particularly where the subject is large and the working distance is severely limited. CLASSIC COLLECTION Lenses come with adapters to fit most cameras, just let us know what camera it's going on at the time of ordering.